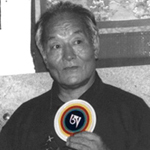 Chögyal Namkhai Norbu was born in 1938 in Derghe, in Eastern Tibet and was recognised at birth as the reincarnation of a noted exponent of the Dzog-chen tradition. Notwithstanding his youth, he was already well known by the end of the 1950s as a person with a profound knowledge of the Dzogchen teachings and also as a spiritual teacher. His fame, in India and in Tibet was such that in 1960 Professor Giuseppe Tucci, an eminent scholar and founder of the Is.MEO (one of the major institutes of oriental studies in Italy), invited him to Rome to collaborate in research at what is today known as Is.I.A.O, (Istituto per l'Africa e l'Oriente). For the first fifteen years of his residence in Italy Namkhai Norbu concentrated mainly on the Ancient History of Tibet. His works are evidence of his deep knowledge of Tibetan culture and are addressed to the young people of Tibet in order that their awareness of an ancient cultural heritage should not die out. The works of Namkhai Norbu are a significant reference point for these young people, whether they live in the People's Republic of China or whether they are living in exile and represent the continuation of the cultural heritage of Tibet and its national identity. His studies have become so well known at an international level that he has an intense programme of lectures and seminars in the major centres of oriental studies and in universities throughout the world. Together with a number of students he founded the first Dzogchen community in Arcidosso in Tuscany and then later founded other centres in various parts of Europe, Russia, the United States, South America and Australia.